Mahorall Farm Cider and Hawkeye Falconry are proud to be able to offer groups the unforgettable experience of a days Falconry at the picturesque setting of Mahorall Farm. For groups of a minimum of 3 and up to 8 people we offer a unique experience for all to share. Whether it is a family get together or an office treat everybody will be in awe watching these beautiful birds. Chris Neal owner and operator of Hawkeye Falconry is an experienced and professional local Falconer who will be the leader of your group. Whether you want the thrill of an up close and personal encounter with a bird of prey on your gloved hand or just happy to watch and participate its up to you. 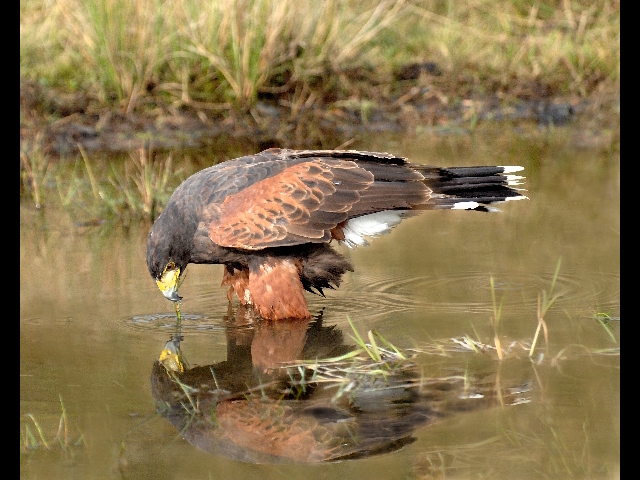 Or you can go on a Hawk walk through some of the beautiful landscape on the farm. An average time for the experience is from 10.00am - 4.00pm. Even if the weather is too wet or too windy your experience will not be spoiled as we are also able to offer the experience in a covered barn. An introduction to the event including a safety briefing and video on Falconry through the ages. The flying displays will usually take place in open countryside or if the weather is inclement we have ample indoor barn space. Plenty of chances to interact with the birds and take photographs. Price includes a 1 hour snack lunch break at a local pub. (Please do not contact Mahorall Farm Cider directly). We look forward to welcoming you down at Mahorall Farm !